The Worth folding kneeler bench and seat can be used as a kneeler or a seat, foam pad provides comfort when gardening. 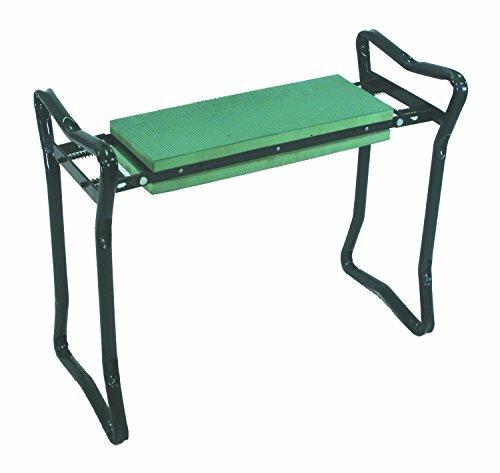 When using the kneeler the sturdy arms provide leverage to push yourself up. Legs fold flat for easy storage. Holds over 200-pound. 23-1/2-inch wide, seat height 17-inch, kneeler height 4-1/2-inch. 3/4-inch thick pad on each side of the bench for comfort when kneeling or sitting.